Acme Infovision System Pvt. Ltd Satara is a software solution company & widely spared all over India. In particular western Maharashtra we are giving software solution to small business in the form of Acme Insight & solution to jewellery business in the form of Acme infinity. We are having present customer base of about 6000 Retailer, wholesaler, Traders as well as about 1000 jewellers. 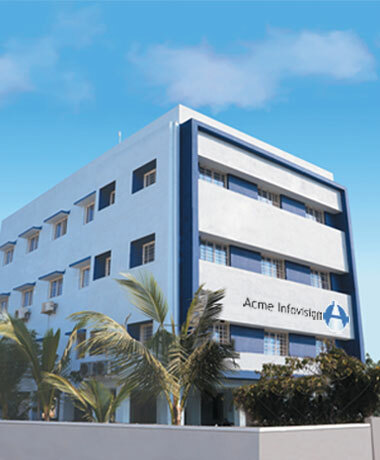 Initially Acme infovision market leader in western Maharashtra started its activity with only 2 Engineers & was founded on the principles of marketing awareness of software in semi urban area. For over last two decades we have grown up to the extent of around team of 80- Employees which include 45- Programers, 5-Team Leader, 2-Marketing Managers, 10- each Marketing executive & Sales person. particularly in jewellery business .We have spared our wings in south India with our big clients Bhima jewellers, Goodwin jewellers & so many. We were shifted to our new premises in 2006 & also in the same year our partnership firm become a Pvt.Ltd company. Today we are having a brand name for our software We are taking care of our customer by not only giving software solution but also by giving a good support after services for which our support department is fully equipped with expert team. We are having dominance in jewelery software (infinity) with big clients like P.N.G Jewelers, Chandukaka Saraf & Ranka jewelers in Pune city. Acme Infovision has delivered easy to use scalable & customizable software for Traders, Wholesalers & Jewellery business.